Le Vanessa is a wonderful 4 star hotel, located in the heart of Verbier just 50m from Place Centrale and only 350m from the ski lifts of Medran. This impressive chalet hotel, which dates back to he 1970s, has been tastefully refurbished and provides a comfortably and relaxing setting for your holiday in Verbier. 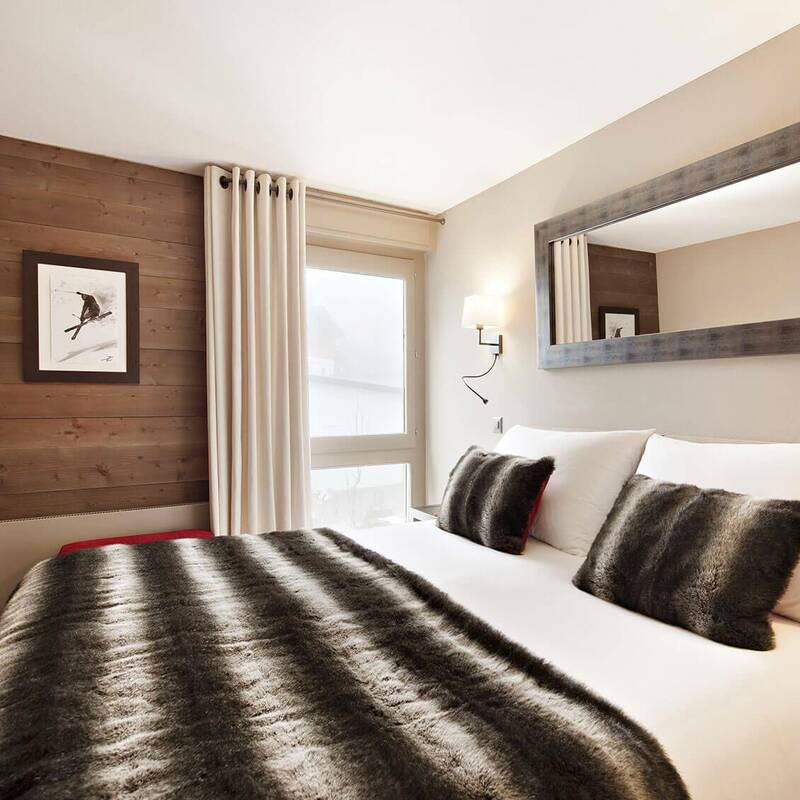 Conveniently located in the heart of Verbier, just 50m from Place Centrale, Hotel Vanessa boasts 57 stylish guestrooms and suites that have been tastefully renovated with café-crème walls, local pine panelling and a splash of red velvet upholstery throughout. In addition to providing a relaxing environment for your holiday to Verbier, Hotel Vanessa also has one of the most popular restaurants in town. The ‘Brasserie Le V’ have designed a menu combining both local and international flavours. There is also a children’s menu, so even the most demanding of palates are catered for. Any aches or pains can be eased away in the recently renovated Wellness Area, where guests receive free access to the Hotel’s hot-tub and sauna. The Hotel also run a free shuttle service from 08:00 until 22:00, but due to the hotel’s excellent location, all the resorts main shops, facilities and attractions are a mere snowball’s throw away! All prices for the Hotel Le Vanessa are based on 2 sharing a room, on a bed and breakfast basis. Taxe de Sejour, a local tourist tax, is an additional cost and is priced at 4 chf per person, per night.